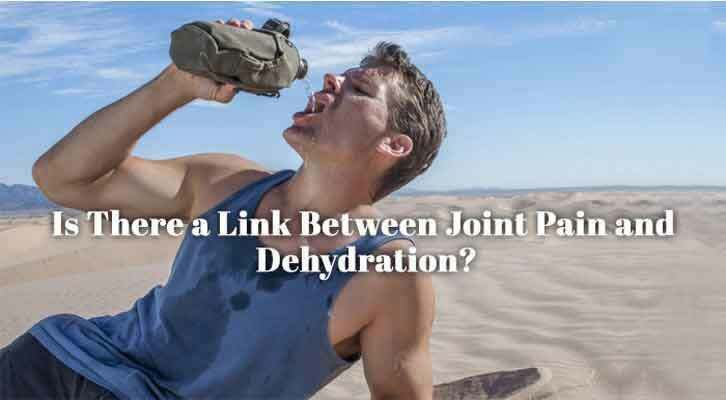 Is There a Link Between Joint Pain and Dehydration? According to some estimates, 75% of Americans are chronically dehydrated. Although we know staying hydrated is important we still don’t drink enough water. However, dehydration can lead to fatigue, slow down metabolism, affect cognitive functioning, and contribute to the formation of kidney stones. Lack of hydration is also dubbed as a contributor to joint pain. This article investigates the potential association between joint pain and dehydration. What Is The Connection Between Joint Pain and Dehydration? In order to understand the secret behind the impact of dehydration on the joint pain you also have to know more about the spinal column. Our spinal column consists of 24 vertebrae bones and 23 cartilages discs, ligaments. In well-hydrated cartilages, the rate of friction between bones is lower than in a dehydrated cartilage. As a result, dehydration can lead to increased degeneration and damage. Hydrated cartilages function better, and a well-lubricated spine can move more easily. Less friction re-sults in the smoother spine. When there is a sufficient amount of water in cartilage, the risk of pain is lower. On the other hand, in dehydrated cartilage, the discs (shock absorbers that keep the bones from rubbing together) are unable to perform their functions unless they are fully hydrated. The cushioning ability of your disc is based on the water content. Since there is no enough water, this may lead to degeneration and severe pain in joints. What Does Science Say About Joint Pain and Dehydration? About 70%-80% of your joint cartilage is made of water so it comes as no wonder why the lack of hydration is associated with joint pain. In cartilage, the water content is regulated by aggrecan, the protein made of glycosaminoglycan chains. When the molecules of aggrecan protein come into contact with water, they get a gel-like consistency. That is why even if you take glycosaminoglycan for joint health, without proper hydration it won’t yield desired benefits. A study whose findings were published in the Medical Gas Research revealed that water in-take with a high content of molecular hydrogen reduces oxidative stress and the development of changes associated with rheumatoid arthritis. The study enrolled 20 participants who drank high H2 water every day for four weeks and after a wash-out period, they continued drinking the same amount of this water for another four weeks. Scientists discovered that the H2 mole-cule acted as a free radical scavenger and prevented rheumatoid arthritis from progressing. How It Can Affect My Joints? Due to joint pain and dehydration, the blood volume decreases as well. This causes a chain of reactions mak-ing everything work harder; your heart is compensating for weak blood volume by pumping harder and faster to get oxygen and blood to the organs of your body. At the same time, your muscles work harder while your joints may not get proper friction and smoothness thus leading to the degeneration and ultimately severe pain. 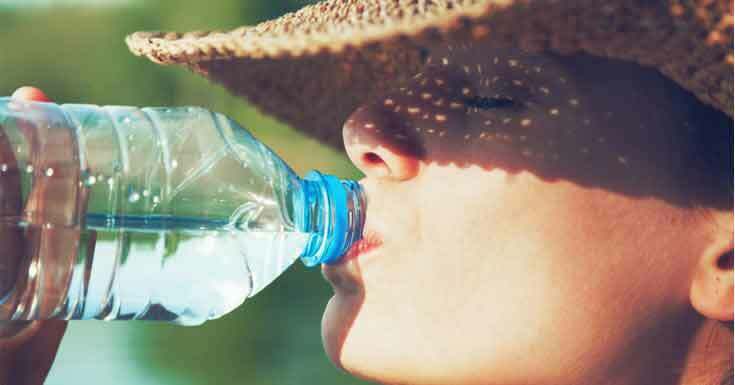 Moreover, a group of scientists at the Massey University from New Zealand discovered that not drinking enough water enhances your sensitivity to pain. Their study, published in the Journal of Theoretical Social Psychology, showed that the more people are dehydrated, the more the intense feeling of pain. Therefore, lack of hydration does not only contribute to the for-mation of pain but it also aggravates its intensity. Can I Cure My Arthritis By Drinking Water? First things first, it is important to bear in mind that there is no cure that could wipe out arthritis and prevent it from coming back again. Treatment for different types of arthritis is primarily directed towards management of symptoms in order to decrease their intensity and improve your quality of life. Once the body has been chronically dehydrated for many years or even decades many people start developing the diseases and health conditions such as arthritis. Here, drinking enough wa-ter can be a useful way to manage joint pain. Staying hydrated helps you maintain sufficient blood volume and allow the nutrients to move through the blood to your joints. At the same time, water allows waste products to move out of your joints, which is also important. Let’s not forget the fact that water lubricates your joints, thus making it easier for you to move without feeling pain. Ideally, you should drink around 2l of water every day. That said, the daily water intake can vary from one person to another. Don’t wait until you feel thirsty in order to drink a glass of water. Why? It’s because by that time your body is already dehydrated. The best bet is to make sure you drink water regularly and frequently throughout the day. It is not uncommon for people to justify insufficient water intake saying they already had coffee or soda. However, these beverages can only add to dehydration meaning they aren’t quite helpful for this purpose. For example, coffee acts as a diuretic and promotes fluid loss. That is why you should strive to drink pure water instead. Finally, we can conclude that water is the greatest gift of nature and dehydration is the root cause of multiple diseases. The dehydration can lead to several health complications resulting in the joint aches either in one form or another. Above all, dehydration enhances the intensity of pain, which is yet another reason why you should drink water throughout the day. Strive to drink water before or after every meal or download an app that reminds you to take a glass or water or take the water bottle wherever you go.